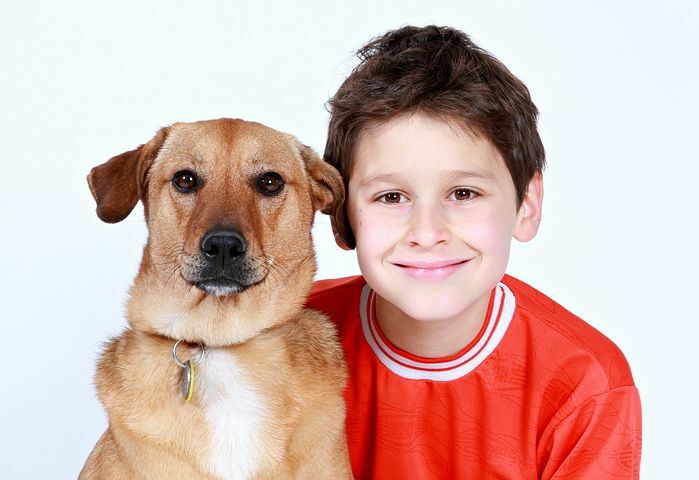 Most kids will pester their parents for a pet at some point in their early years, and it can be hard to know whether it’s the right thing to do. If you’re currently sitting on the fence about just such an issue, you’re bound to be interested in some of the benefits. Having a pet in the family home is going to teach your child some valuable life lessons such as patience, trust, compassion, respect, and responsibility. It’s not just your children that benefit, however. Having a pet in the house, particularly a dog or cat, brings a certain kind of energy. Here is a list of some of the key benefits of owning a pet. Dogs and cats love to spend time outdoors, and your kid will be drawn outside to be with them!If you want to spend more time outside as a family, getting a dog is an excellent way to do it. You’ll need to take your dog out for regular exercise, so you’ll be taking more trips to the park, around the neighborhood or walking further afield. As well as giving your dog exercise, it’s also an opportunity for them to socialize with other dogs and people. You get to meet other pet owners and make new friends. Of course, it might not be possible to take your dog out for a walk everyday, due to other commitments. In which case a dog walking service is advantageous. You can find out if there’s one in your area by visiting premierdogwalkers.com. If you bring a pet into your home, its care needs to be a joint responsibility. There are many ways your kids can help, for example, filling their food and water bowls. They’ll be able to bond with their pet if they’re helping to clean out litter boxes, groom the pet and take it out for a walk when they’re old enough. You want your child to grow into a confident and caring individual. It’s claimed that young people who have been raised with a pet in the family and been responsible for the pets care grow up to have stronger relationships. Think about how you feel when you’re stroking a dog or cat, and you’ll understand the therapeutic benefits! A dog or cat doesn’t pass judgment;they love you unconditionally. Having a pet around can make life seem much better. What’s more, dogs are being usedas companions for people recovering from trauma and are being trained to sense what a person needs and provide emotional comfort. Having an animal as a companion helps you relax and provides relief from stress. It’s been found that pet owners have a decreased risk of cardiovascular disease, fewer minor illnesses and complaints, and also visit the doctor less. Having a pet in the family helps your relationship grow stronger and closer. A pet often becomes the focus of activities families might do together. If the dog needs taking for a walk, it’s likely that other members of the family will tag along. There’s no denying that a pet can be a valuable addition to any family. With their unconditional love and companionship,they become a loved member of the family. Time to get off the fence and make the right decision!